Hello everyone! 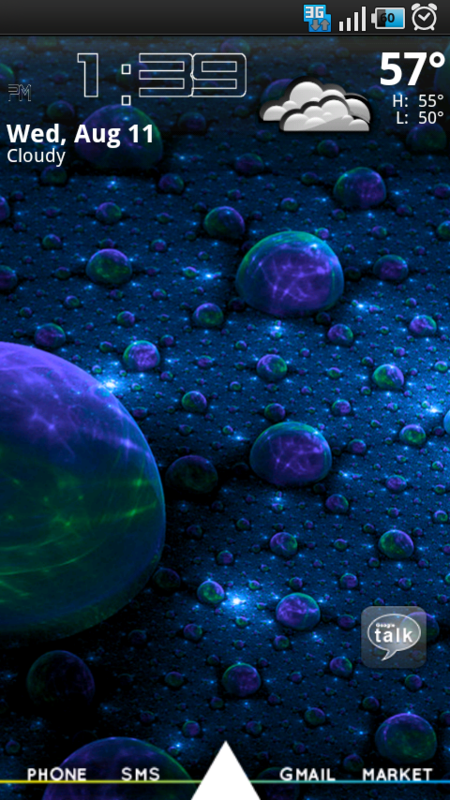 Welcome to my first lil’ rendition of Droid-Life’s Custom Theme Friday! 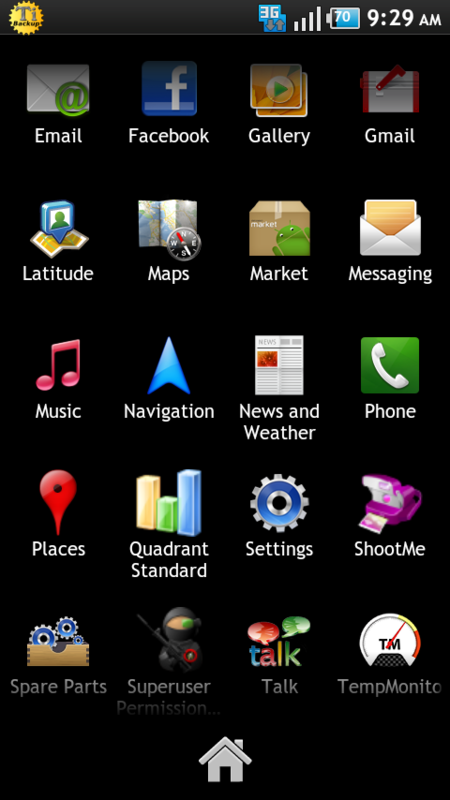 Today we are featuring the Gala S (Samsung Galaxy S) theme by “Hexzamatic”. This theme is quite lovely in my opinion and I have been rocking it myself for a few days. Which is rare for me I may add. This theme has been ported to many ROM’s, but today we will be seeing it on top of Lithium Mod. Instructions and gallery after the jump! Lithium Mod has made it super easy for everyone to jump from theme to theme by having it already installed on the ROM. 1. 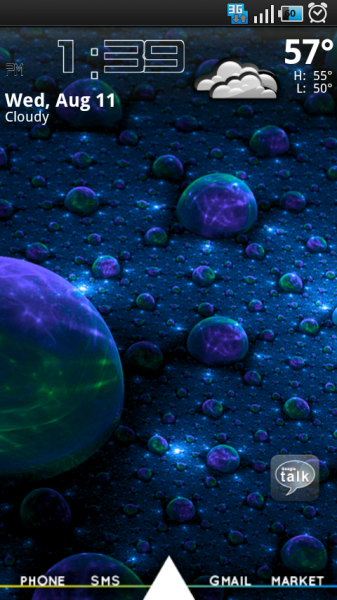 Download full ROM and theme http://bit.ly/cZdH0f and place on SD Card. 2. Open ROM Manager and select “Install from SD Card”. 3. Find the .zip file and hit it. When prompted, create a backup if you do not have a current one. If coming from a non Froyo ROM then please wipe data. If already on any of the many Froyo ROMs out there then you may also skip wipe/data cache. BUT if you come across any problems please restore a backup then reinstall after wiping data/cache. 4. Select “OK” and allow Clockwork to do its thing! After reboot you should see some amazing Lithium Mod Gala Theme action! If you have any problems while installing or any such thing feel free to leave comments and our panel of experts aka community will try our best to help out! You can also jump to our IRC Channel and see if anyone can help you there!